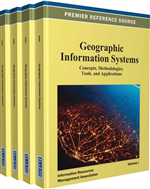 The Center for Geographic Information Science (CGISc) at the University of North Carolina Greensboro (UNCG) was established in the Summer of 2006. CGISc is an educational research entity that relies on the use of GIS and the science of geographic information to conduct research on human and natural phenomena distributed on the Earth’s surface. CGISc welcomes interdisciplinary collaboration, and emphasizes the development of public-private sector partnerships. CGISc also places a high priority on research that involves students. This paper first provides an overview of the CGISc. This section is followed by a discussion on the fundamental approach to conducting geographic research using GIS. The paper concludes with several significant projects and a discussion on future directions. The Center for Geographic Information Science (CGISc) is housed in the Department of Geography at the University of North Carolina at Greensboro (UNCG). CGISc is an educational research entity that uses theories, concepts, and applications to solve, analyze, and model geographic aspects of human and environmental phenomena. CGISc seeks interdisciplinary partnerships, with a focus on providing robust geographic analysis to investigate complex problems. CGISc places an emphasis on fostering public-private sector partnerships and developing transformative geospatial technology and applications. The contributions of both graduate and undergraduate students are integral to the Center’s activities. Following national trends in the United States, the Department of Geography at UNCG has experienced substantial growth over the past 15 years. During this time period, the number of tenure-track faculty has nearly doubled to support the incremental additions of the master’s and doctoral programs. The department now has approximately 85 undergraduate majors, 45 master’s students, and 25 doctoral students. Departmental growth and an increase in geographic information science research activity justified the creation of CGISc. In the summer of 2006 the Center was proposed by Dr. Rick Bunch and approved by the university. Initial university support for CGISc included a small amount of physical workspace, a modest operating budget, and personnel funding to hire Anna Tapp as the full-time Associate Director. CGISc also received funding to purchase computers and geospatial software. Initially, several ongoing externally funded projects were strategically integrated as part of CGISc activities. These activities primed a research agenda and provided additional monetary support. Over the past four years, CGISc has experienced significant growth in nearly all aspects. The Center has funded numerous graduate and undergraduate student assistantships, many of which have led to culminating dissertation and thesis topics. Additionally, CGISc has more than doubled its operating budget, increased its physical workspace by fifteen-fold, and significantly increased its access to geospatial software, computers and hardware (Figure 1). CGISc has also added 3 full-time personnel - a post doctoral research associate and two specialists in Geographic Information Systems (GIS). The value of GIS varies according to the perception of the user. Some people might view the technology as a way to automate the production of maps. Others might see the technology as a tool for storing, maintaining, updating, and querying large geospatial databases (e.g., utilities, land parcels). Yet other people may see it as a way to analyze geographic relationships among phenomena (e.g., cancer prevalence in relation to the locations of health care facilities). How individuals or organizations use GIS has led to the identification of two paradigms – the spatial information paradigm and the spatial analysis paradigm (Goodchild, 1991). The spatial information paradigm emphasizes the database and query aspects of GIS, while the spatial analysis paradigm focuses on modeling. These two paradigms, in part, provided the foundation for delineating the emergence of Geographic Information Science (GIScience) (Goodchild, 1991, 1992). The spatial information and spatial analysis paradigms are useful for understanding different arguments about the value of GIS in academics, particularly within the context of geographic research. Kitchin and Sidaway (2006) raised questions about trends toward promoting GIS as a way to enhance Geography as a discipline. As part of a much broader argument, they pointed out that the promotion of GIS provides short-term visibility, but over the long-term it can reduce geographers to technicians. This argument embodies the spatial information paradigm where individuals are trained to build, maintain, and query geographic databases. Others, however, have argued that research leveraging GIS and the science of geographic information can enable collaborative environments and promote participation of critical geographic inquiry (Klinkenburg, 2007; Schuurman, 2009). This argument clearly embraces the spatial analysis paradigm where the science behind GIS is used to carry out research.